In this Saturday, Jan. 27, 2018, file photo, Iggy Azalea attends the Roc Nation pre-Grammy brunch at One World Trade Center in New York. 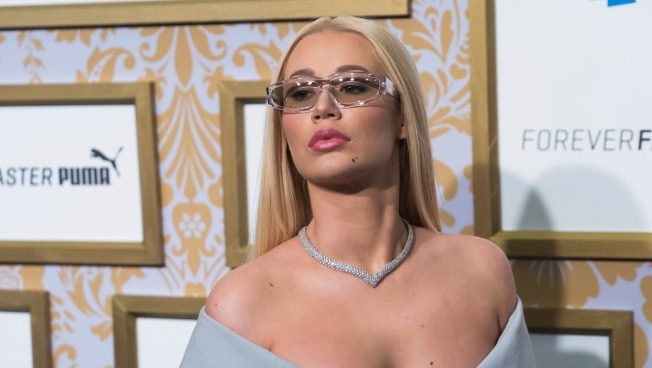 Just days after revealing she was coupled up with NFL star Deandre Hopkins Iggy Azalea Reveals says she and the Houston Texans player have split. “I’m single,” Azalea wrote on social media on Wednesday night, adding a shrugging emoji and a blushing emoji. “I have come to the conclusion iam [sic] going to be alone forever,” she wrote. “Iam [sic] completely fine with that. Romance rumors first sparked after Hopkins captioned a photo of himself, "My Aussies call me legend," to which Azalea replied, "I could think of a few other things to call you." When a fan asked if he was the Australian MC's "boyfriend," he responded, "Yes indeed." Azalea had also confirmed their relationship status before the split, describing the professional football player as "her man." Azalea was previously engaged to professional basketballer Nick Young but called things off a year later when she allegedly caught him cheating on home security footage.